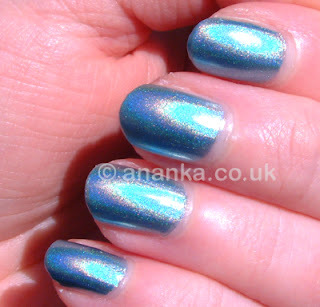 This is one of the new-ish holos from China Glaze. This is easy to use, easy to apply and fairly quick drying. 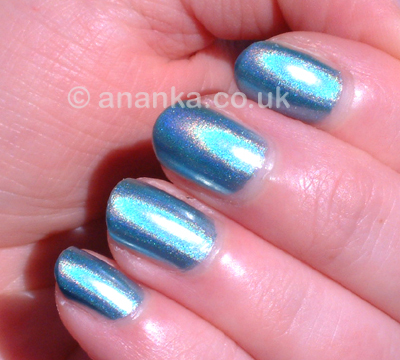 It's a light blue with a subtle holo effect. I used the Nfu Oh Aqua Base with this. I'd have to say it looks pretty poor in other lighting but looks awesome in the sunshine, so a summer nail polish for sure! Lasted really well. 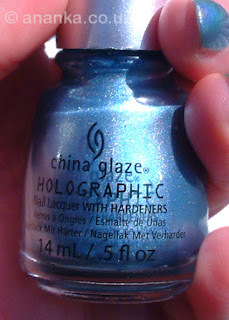 My Personal Rating = 7/10 it's not as extreme as some of the other holos I've got, but it's alright!